(Natural News) More and more people suffer from pain because of osteoarthritis, the most common form of arthritis. 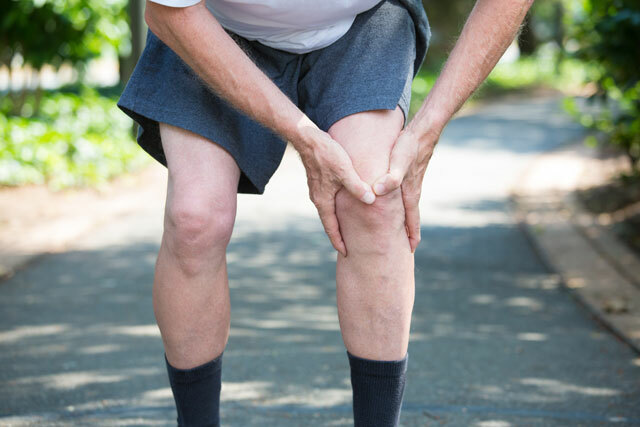 Fortunately, a study published in the journal Complementary Therapies in Clinical Practice revealed that there is a safe and effective way to treat osteoarthritis of the knee naturally. Researchers from the Islamic Azad University and the University of Isfahan in Iran found that Pilates is a more effective pain treatment in people with knee osteoarthritis compared to conventional therapeutic exercises. In the study, the researchers compared the effectiveness of Pilates and conventional therapeutic exercise on pain and disability in patients with knee osteoarthritis. They recruited 41 knee osteoarthritis patients, who were then randomly assigned to do Pilates or conventional therapeutic exercise. The researchers measured the joint position sense, functional performance, pain, and disability of the participants. The researchers observed significant differences between the effects of Pilates and conventional therapeutic exercise. Results revealed that knee osteoarthritis patients who performed Pilates training experienced greater reductions in pain and disability compared to those who did conventional therapeutic exercise. Based on the findings of the study, the researchers concluded that Pilates training was more effective than conventional therapeutic exercise in reducing pain and disability in people with knee osteoarthritis. What is Pilates and what can you gain from it? Pilates is a series of around 500 exercises inspired by calisthenics, yoga, and ballet. This exercise was introduced in the U.S. during the 1920s by physical trainer Joseph Pilates. During that time, Pilates served as a way to help injured athletes and dancers safely return to exercise and maintain their fitness. From then on, Pilates has been adapted to suit people in the general community. Pilates training includes various exercise sequences that are done in low repetitions, typically five to 10 times over a 45- to 90-minute session. Pilates can be an aerobic or non-aerobic form exercise. Practicing Pilates requires concentration and focus because the body needs to move through precise ranges of motion. Although Pilates focuses on core strength, it is considered a whole-body fitness exercise. It lengthens and stretches all the primary muscle groups in the body in a balanced way. Despite this, the muscles are never exhausted. There will be no sweating or straining but intense concentration. Concentration is also needed in order to find a center point to control the body through movement. Read more news stories and studies on natural pain relief treatments by going to Naturopathy.news.